Add a sleek and decorative feature to any room with this Collins ADA compliant two-light wall sconce. Featuring a chrome finish, this Collins ADA compliant two-light wall sconce from Possini Euro Design® is sleek and attractive. With a floating glass design, this light is decorated for visual interest. The versatile design can accommodate the look and feel of any contemporary decor. 15 1/2" wide x 7 1/2" high. Extends 3 3/4" from the wall. Weighs 3.1 lbs. Backplate is 14 3/4" wide x 6 1/2" high. Glass is 5 1/2" wide square. 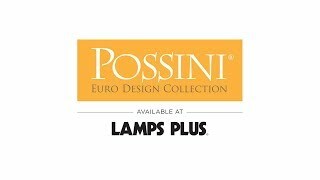 Collins ADA compliant two-light wall sconce from Possini Euro Design®. Chrome finish backplate and accents. Floating clear glass accents.